Location, location, location. 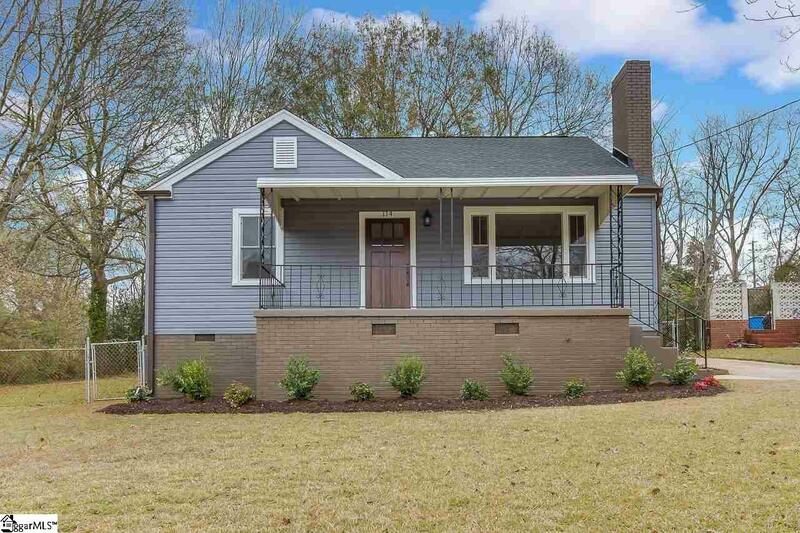 The top 3 things asked for and this awesome renovated home has it! Is located in Isaqueena Park off E North St (across from Overbrook). You will love your new kitchen with its custom cabinets, quartz counters and tile backsplash. Open floor plan from kitchen, dining and living areas. Handsome, refinished hardwoods. Master on the main with private bath, stylish stand up shower, and two closets. Upstairs flex space offers many options. Possibilities include rec area, office and more. Deep, spacious, fenced yard for kids or pets to play in safely. Walk to Timmons Park with mountain bike trails, streams, playground, Frisbee golf, tennis courts and baseball field. Only minutes to Greenville&apos;s thriving downtown for your pick of churches, shopping, restaurants, events at the Well or take in a Drive baseball game. Welcome to your new home.